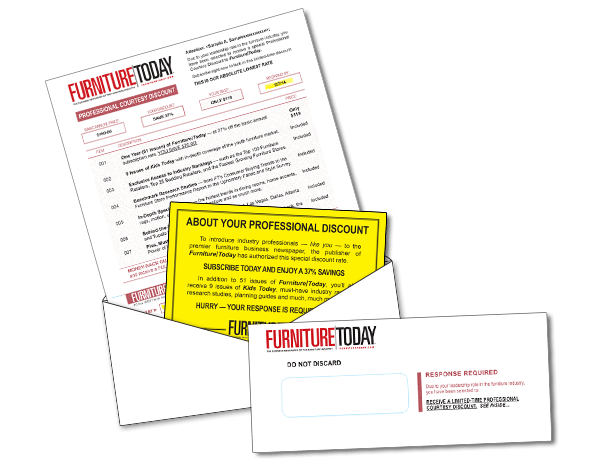 We have a direct mail case study to share with you that features our B2B client, Furniture Today. Last year, direct mail wasn’t working for them. And then this year, they tested new creative and lists and boosted response rate by 500%. Want to learn how? Keep reading! Furniture Today is a B2B publication geared towards the furniture industry. In previous years, they were using a lot of direct mail to acquire new subscriptions, but lately were having a hard time making the channel profitable. They experimented with telemarketing, but that too didn’t work well for them. In 2014, under the direction of Eric Rutter, their VP of Audience Marketing, they decided to take a renewed look at direct mail and start fresh. For this campaign, Ballantine provided printing and mailing services, and Adspace Communications handled the direct mail graphic design and helped with copy tweaks as well. In taking a renewed look at direct mail, Furniture Today decided to start fresh with new creative and new lists. 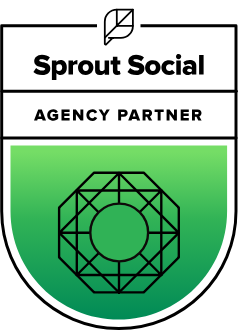 For creative, they worked with Andrew Majewski at Adspace to come up with a more “official” look and feel which ultimately ended up being the invoice style approach. This type of approach typically works well in the consumer title market and Andrew modified it for the B2B market. For lists, previous campaigns used compiled data. And while the demographics were targeted, the lists weren’t responsive enough to their offer. For this mailing, they went with targeted tradeshow lists. The industry folks included in these lists were likely familiar with Furniture Today. As a result, the strategy was: get an official-looking mail piece in their hands and they’ll hopefully be more inclined to respond to the offer. The overall response rate for the campaign was 1%. This response rate was a 500% lift versus the previous mailing in 2013 — which made the mailing profitable in year one. The 2013 campaign used different creative and different lists, but the same offer with a slight tweak. The offer last year included bill me. The 2014 mailing did not — so 100% of the 1% response rate subscribed to Furniture Today with payment. 1. Direct mail is a viable marketing channel if you do right. 2. You need to test different creative and lists to find the right combination for both your offer and audience. Are these lessons learned obvious ones? Yes. But if Furniture Today hadn’t followed lesson #2, they wouldn’t have been able to say lesson #1. If you have any questions, or want samples, please contact us!